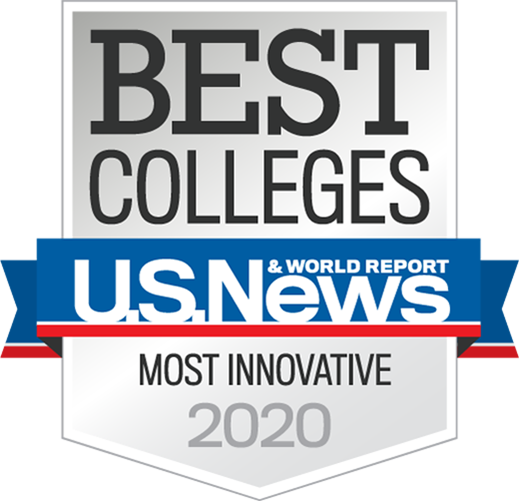 For the third year in a row, Arizona State University tops the U.S. News & World Report list of “most innovative schools” in the nation, recognizing the university’s groundbreaking initiatives, partnerships, programs and research. The title of the nation’s most innovative school has been given to ASU all three years U.S. News & World Report has had the category, placing ahead of Stanford and MIT. College presidents, provosts and admissions deans around the country nominated up to 10 colleges or universities that are making the most innovative improvements to curriculum, faculty, students, campus life, technology or facilities, and ASU Online continues to remain a huge part of why ASU is continually ranked the most innovative in the nation. ASU Online continues to scale digital learning by making online courses accessible to anyone. The Starbucks College Achievement Plan is one initiative in which Starbucks partners (employees) receive full tuition reimbursement from Starbucks when they attend ASU Online. ASU also recently announced the adidas partnership, which will provide scholarships to ASU Online for 100 adidas employees, granting them access to a world-class education from the nation’s most innovative university. Another innovative initiative is the ASU Online Student Success Center, which provides support services to all ASU Online students. Part personal advisor, part cheerleader, success coaches are focused on supporting students as their work towards their goals. From helping adjust to life as an online student, to offering success strategies and reminders, to connecting students to resources at ASU, success coaches are there to help students along their digital journey with ASU Online. first dedicated research lab designed for digital teaching and learning efficacy in fully online degree modalities. Through their work, The Action Lab is dedicated to reviewing learning analytics and providing continuous program improvement, ultimately resulting in student success in a digital environment. Whatever the cutting-edge initiative may be, Arizona State University continues to make progress. ASU is the fastest-growing research university in the county, and the most innovative university for the third year in a row. Now that’s a recipe for success. Learn more about about ASU’s rankings.